Reiterating their demand of unconditional withdrawal of new “Disciplinary” rules notified by the High Court, the Madras High Court Advocates’ Association, in an Extra Ordinary General Body meeting held today, has resolved to abstain from all Courts and Tribunals from tomorrow. 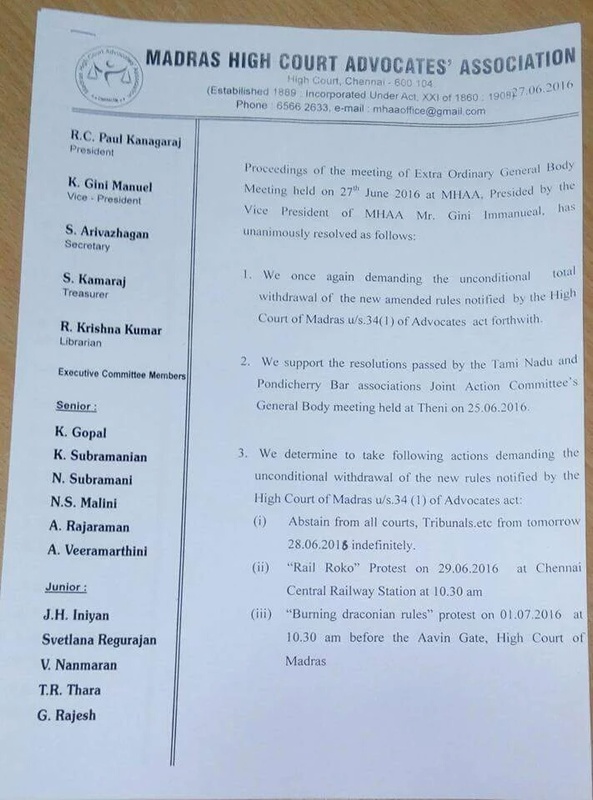 The meeting presided by the Vice President of the Madras High Court Advocates’ Association also has planned protests like ”Rail Roko” and “Burning Draconian Rules”. The Association has also demanded the Bar Council of India and Bar Council of Tamil Nadu and Pondicherry to revoke suspension of Advocates who are facing disciplinary proceedings. 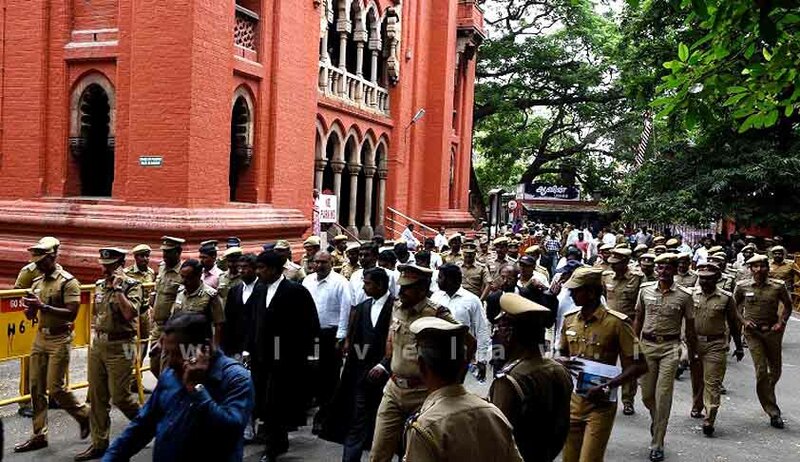 A month ago Madras High Court, had introduced new sets of disciplinary rules for the Advocates through an amendment, enabling it to debar lawyers who indulge in objectionable behaviour. In a notification published on 20th May 2016, new Rules 14A, 14B, 14C and 14D has been added to the existing Rules under Advocates Act. After a few days of amendment, the MHCAA, in a unanimous resolution, expressed its “deep” concerns about the newly introduced amendments to rules framed under S.34 (1) of the Advocates Act, by the High Court. In response to this, In the full court meeting held on 16th June, it was decided that the suggestions submitted by District Bar Associations and Senior Advocates of High Court who had expressed their reservation about the Rules, will be examined by a Committee to be constituted to suggest necessary modifications/amendments to the Rules and that in this behalf the representatives of the Bar be heard, due notice being given in that regard.The Full Court had also reiterated the Chief Justice’s assurance to the representatives of the Bar Council and the Bar Associations that pending examination of the Rules no precipitative action will be taken will continue to operate.